Best 6.5 Grendel Barrels – Which Will Complete Your Build? A barrel is certainly the most important part of a rifle, and it has to be designed with utter precision. If it was not for the innovation in rifle barrel manufacturing, today’s rifles wouldn’t shoot any better than a musket. The 6.5 Grendel is not just a layman’s ammunition. It has been designed for short to long-range precision shooting and to reduce the recoil of a rifle. To achieve this, the barrel must be designed in harmony with its features. Here, we’ll discuss the benefits of investing in a new barrel for your 6.5 Grendel, along with the aspects you must consider before buying one. We’ll also take a note of the major and minor differences in different barrels, so you can get every point straight. To wrap things up, we have also handpicked and reviewed the best 6.5 Grendel barrels on the market, making this article a full and comprehensive guide for you. Note: Please check permitted barrel/rifle length according to your state laws, before upgrading. Brownells - AR-15 6.5 Grendel Barrels Stainless Steel 24"
Brownells - AR-15 6.5 Grendel Barrels Stainless Steel 20"
Are All 6.5 Grendel Barrels the Same? Absolutely, not. Just like every AR-15 looks identical from outside, but each has different modifications, so do the 6.5 Grendel barrels. For the sake of simplicity, we’ll talk about the differences among the barrels mentioned in this very article. The very first difference among barrels is the gas length system. Some barrels use the full-length gas system while some use carbine length. However, the choice of a gas system also depends directly upon the length of the barrel, which for this matter is also a differentiating factor. The length of the barrel directly determines the range you’ll be shooting at. Longer barrels for long range and vice versa. Another difference in different barrels is the weight. It is affected by the material used to manufacture the barrel, its contour, and fluting (also affecting the heat dissipation capability). The material used in manufacturing a barrel also plays an important role over a long period of time. Plus, having some sort of corrosion-resistant coating on the inside and outside also helps. Accuracy: 6.5 Grendel is a low-recoil and brutally accurate caliber, especially over long ranges. It’s what it was designed for. Upgrading to an excellent barrel will improve the overall accuracy of your rifle by compensating for factors like stiffness, heat, and barrel whip. Recurring Costs: A barrel is most likely to chip-off to the extent of replacement after 10-20 thousand rounds, depending upon the rate of fire and level of maintenance. Top-of-the-line barrels tend to have a longer life with consistent performance. So they can actually double the time of replacement. Performance: Using a good barrel allows you space to make relevant upgrades with your changing needs, such as a pre-threaded muzzle for compatibility with compensators and brakes. Aesthetics: This really might not sound like a perk, but some top-of-the-class barrels are extremely beautiful. It helps whether you like to show off at the range, or just like owning sassy items. Once you have learned the benefits of upgrading your 6.5 Grendel Barrel, you must also learn about the important aspects to consider when purchasing one. Let’s evaluate these one by one. Length: The very first aspect to be taken into consideration is the length. The length of not just the barrel, but also of the gas tube. If you buy a 16-inch barrel, you have to get a gas tube that's the right length. If your intention is to use your rifle for long range shooting, you should go for a longer barrel, such as 20+ inches, as the longer barrel gives gasses more room to expand. Which will then propel the bullet to longer distances. Twist Rate/Rifling: The twist rate refers to the number of inches the bullet travels to take one full rotation. Twist rate is the measure of the stability of the barrel. Heavier bullets tend to have a lower ratio as compared to lighter ones. For example, a 1:9 barrel twist is optimum for a bullet weighing up to 160 grains, whereas a 1:12 twist rate is good for an 80-grain bullet. Contour/Fluting: You might notice some barrels featuring textures and contours over their surface. This removal of extra material is known as fluting. A fluted barrel is lighter in weight and offers better cooling for a prolonged period of shooting. If it's not for heavy and long-range barrels over 20 inches in length, you must consider buying a fluted barrel. Based on the benefits of upgrading your 6.5 Grendel barrel, and the considerations for doing it, we have handpicked and compiled the best 6.5 Grendel barrels on the market. Somehow Faxon is on the top of the list every time and everywhere AR barrels are concerned. Maybe it is their background in aerospace design that gives them the knowledge to manufacture with such precision. 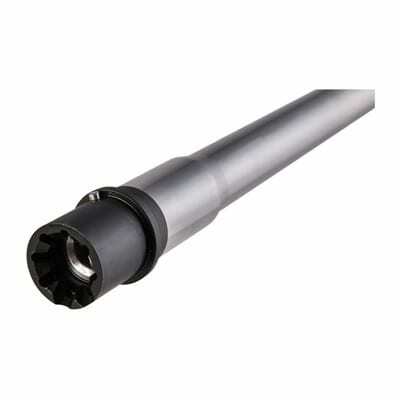 This heavy profile barrel has been made using high-grade 416R stainless steel, featuring a nitride finish on the outside as well as inside. It is available in a couple of different lengths. The 18” barrel has a mid-length gas port, whereas the 20” barrel has a rifle-length gas tube. The barrel features a 1:8 twist rate, which is enough to stabilize the heaviest bullet you're ever going to fire from your 6.5 Grendel rifle. The muzzle is threaded to accept muzzle brakes/compensator/flash-hiders on the go. Plus, the barrel has been fluted to reduce the weight and promote quick cooling as you burn through your ammunition without a halt. The black finish and contour make it look aesthetically pleasing as well. The Faxon Firearms barrel is the best choice to upgrade your 6.5 Grendel rifle. It is lightweight, has a fluted contour, and a stable twist rate. Plus, the nitride coating will make sure it lasts a long time. This 6.5 Grendel AR-15 barrel from Criterion Barrels features a sturdy stainless steel construction, which is rustproof. The barrel has a hybrid contour and is available in a stainless steel and black finish. The 5/8-24 TPI threaded muzzle is compatible with most aftermarket brakes and suppressors designed for 6.5 Grendel and similar calibers. The manufacturer also offers you an option to choose between a mid-length or rifle-length gas system according to your choice. The barrel has a 1:8 twist, so you can shoot heavy grain projectiles over a long distance with sheer accuracy. 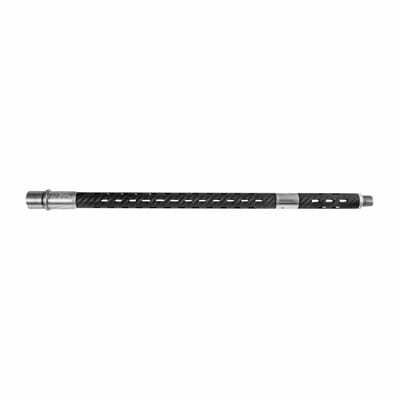 This hybrid barrel is a good mix of strength and durability, along with an optimum twist rate. Hence, making it useful for hunting and mid-range precision shooting. The barrel is comparatively heavy compared to its counterparts, but it will still help you with countering muzzle jump. 3. 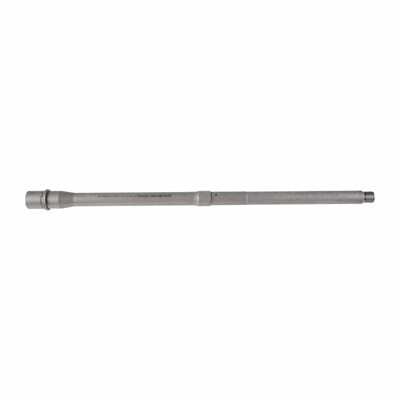 Brownells - AR-15 6.5 Grendel Barrels Stainless Steel 24"
This 6.5 Grendel Barrel from Brownells is 24 inches long and is intended to be used for very long range shooting (800+ yards). The barrel is constructed from 416-R stainless-steel and tapered to a medium profile with a threaded muzzle and an 11-degree target crown. The barrel is a bit on the heavy side, but that’s how you’ll get consistent groups over long range. The 1:8 twist rate of the barrel is optimum to propel projectiles of any weights over long distances accurately. The package also includes a matched Type II bolt so you don’t have to find one separately. Each of these barrels is magnetic particle inspected before leaving the facility, so you can rest assured of the quality. This 24-inch barrel is fit for long range precision shooting, well beyond 800 yards. The barrel has an optimal twist rate to handle different grains, plus the package includes a matched type II bolt so there are no compatibility issues. Good for competitions and long range hunting. 4. 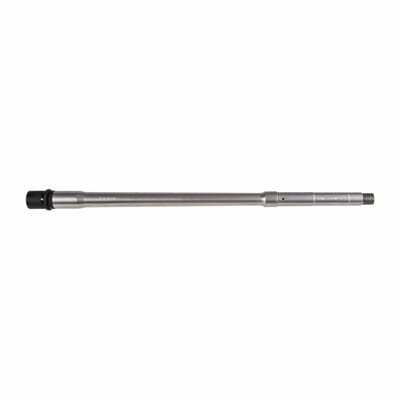 Brownells - AR-15 6.5 Grendel Barrels Stainless Steel 20"
This barrel from Brownells is just a shortened version of the one mentioned above. It is a 20-inch long barrel good for competitions, target practice, and hunting. The barrel is constructed from 416-R stainless-steel bar stock and tapered to a medium profile with a .750-inch gas journal that fits a wide variety of shooting needs. The barrel has a 1:8 twist rate to let you shoot bullets of different weights (grains) with accuracy. The barrel comes with a matched Type II bolt, which saves you some money, and also protects you from the hassle of searching one (if needed). The barrel features a rifle-length gas system, which means that the projectile is ejected at a maximum velocity from the muzzle, hence reaching the maximum range. 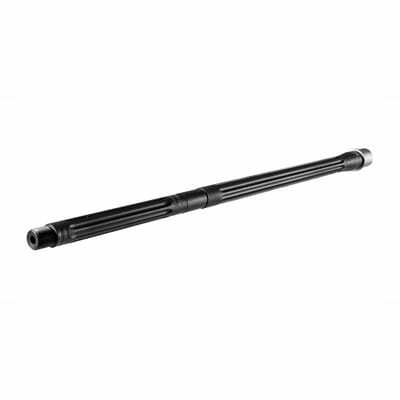 This 20” barrel from Brownells is a one-in-all solution for your needs. You can use it for long range shooting, target practice, and hunting. The barrel is aptly priced, and the included bolt also justifies it. This masterpiece from BSF features an 18-inch, match-grade inner barrel of double stress-relieved 416R stainless steel with a carbon fiber wrap on the outside, creating an air pocket in between. This allows quick cooling of the barrel as you shoot. Additionally, the vents on the carbon fiber sleeve expedite the cooling process. Considering its cooling capabilities, the barrel is exceptional for competition shooting. The barrel is easy to install and looks splendid due to the combination of chrome and black colors. Additionally, the barrel is also lightweight, but sturdy enough to compensate for muzzle jump and recoil while you shoot. The price of this barrel might concern you a bit, but is still the best choice for your 6.5 Grendel rifle. 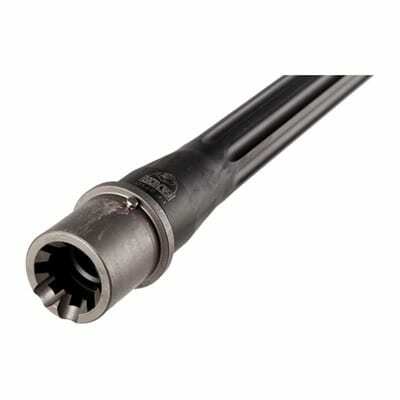 The combination of steel and carbon fiber make the cooling and harmonics of the barrel exceptionally good. The barrel is excellent for competitions and precision shooting. A barrel affects the accuracy of your rifle over long and short distances. Choosing the right barrel could mean the difference between failure and success. Investing in a good barrel for your 6.5 Grendel rifle will complement the range and accuracy of the cartridge, and will prove to be a worthy and long-lasting investment for you. However, you must take factors like contour, weight, twist rate, and length into consideration before buying a barrel for your rifle.